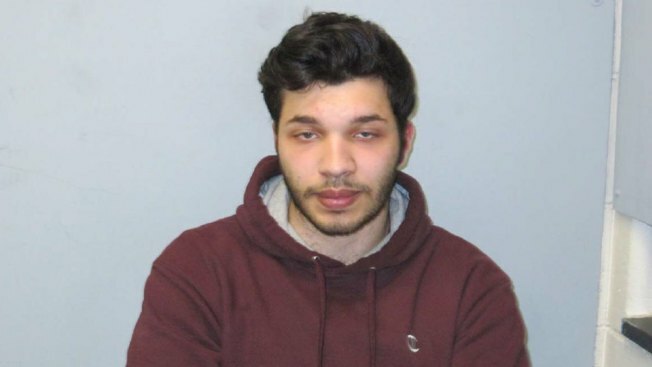 A former UConn student accused of changing the grades for himself and eight other students appeared in court on Monday and is due back in court in April. Omar Faraj, 18, of Mystic, has been charged with two counts of forgery in the second degree and two counts of third-agree computer crime. On Dec. 21 and Dec. 25 of last year, Faraj allegedly used a UConn chemistry teacher's credentials to change grades in the university's computer system, according to the arrest warrant. Faraj's grades were changed from a C to an A- and moved other student's grades either up or down, the affidavit said. In one instance, he changed a student's F to a B+. The computer program automatically sends emails to professors to confirm grad changes. When the professor got the first email on Dec. 21, he alerted university officials. Police said Faraj was able to obtain his teacher's password by watching him type it in while visiting the professor over a few weeks. In January police were able to match the IP address used to change the grades with Faraj's IP address. During January and February, police said they tried several times to question Faraj but he told police he was dismissed from the school and did not wish to answer questions, according to the arrest warrant affidavit. Faraj's bail was set at $5,000. He has posted bond and is due back in court on April 18.